Year created: 2006Using balloons to make sculptures has magical results, and built in challenges. The works are instantly recognizable as an exuberant celebration of life. They offer joy, hope, and inspiration to anyone at any age, and require no deep understanding of contemporary art to enjoy. As closely related to exotic flowers as they are to deep-sea creatures, or microorganisms, the works communicate about connectivity. This becomes literal when a person gets inside a “wearable” sculpture called a Megamite to engage audiences or perform choreographed steps. These interactions are meant to personalize the experience between the viewer and the art. Breaking down barriers between contemporary art and modern life. Whimsy requires thoughtfulness otherwise it’s just silliness. Using balloons as an art medium made me snort laugh. I love that these giant ballon sculptures are at human levels so you can interact with them. 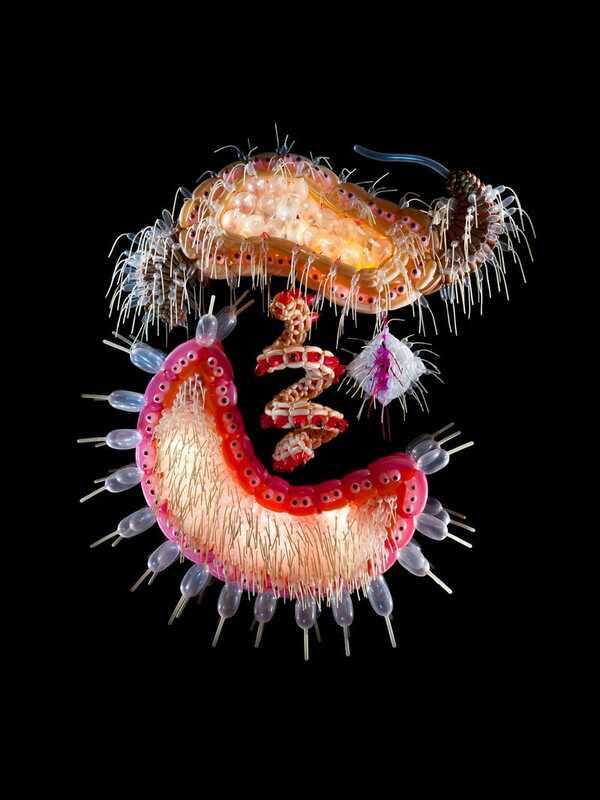 Some pieces, made to appear as flora or fauna, albeit microbial, exhibit distinct personality and emotion. The 2nd from the bottom, the yellow and pink work, looks cornered and fearful. There’s a real exhuberance in these, a joie de vivre, that makes them accessible and relatable. Here’s a few more pieces and some websites to check out. I’d be afraid I’d “POP”!